We value your opinion. Your contact information may be used to obtain feedback about our customer service.  Deseo at Grand Mission welcomes your pet! Our apartments accommodate up to two pets per home, $25 per pet for pet rent with no weight limit. Pet deposits are $200 for one pet and $300 for two pets. We have a non-refundable fee of $300 for first pet, and non-refundable fee of $400 for two pets. Breed restrictions apply. Your pets will love it here!